Want your child to know how their bodies work, stay safe and be confident? Not sure how to talk to your child about their bodies and sexuality? 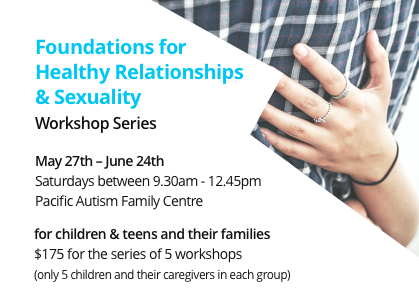 This is an exciting new pilot program of workshops for children and families on sexuality, relationships and ‘hidden social rules’. $175 for all 5 workshops. Ages 6-9 years: 9:30-10:15am – 30 minute workshop for children & final 15 minutes with caregivers too. Week 3 June 10th – Where did I come from? Ages 9-12 years: 10:30 – 11:30 – 45 minute workshop for children & final 15 minutes with caregivers too. Ages 12-15 years: 11:45 -12:45 pm – 45 minute workshop for youth & final 15 minutes with caregivers too. *including talking about important social rules around private & public and ‘social boundaries’. An important part of this series will be providing focused time and resources for you as parent or caregiver to take part in guided, structured reflection and group discussion, while your child is being taught the science about their bodies, sexuality and relationships. In this way, you will have the confidence and the tools to build on these conversations at home. The children/youth will take part in a fun, active workshop with Nicky, tailored to the students strengths and learning needs. Caregivers will take part in a brief introduction and will then be given materials for reflection and group discussion to do independent of the facilitator, returning for 15 minutes at the end for wrap up, key concepts and home-work assignment. All learners are welcome. Pre-requisite skills for this program include an ability to participate in a group program without challenging behaviour that would require individual adult support. Only 5 spots (1 child + 1 caregiver) available for each age-group. This entry was posted on May 28, 2017 by Events Manager.